It is 6pm. Time for soldiers to retreat after a tough day. From the narrow lanes, rebel youth keep a close watch. They whistle to each other — a secret battle signal to gather. Then the stones rain in. The soldiers fire — tear-gas shells, pellets, sometimes live ammunition. The area drowns in smoke. And in mayhem. The battle goes on. Stones from this side. Tear-gas shells from the other. Some youth are chased away. A few injured. Some others stay their ground. An hour later it is all clear. The soldiers are gone. The youth are gone. The streets are carpeted with stones. The air is left reeking with a choking tear gas stench. Among all this, a 15-year-old Nepali boy in the Batamaloo area of Srinagar finds “pleasure” in stone-pelting and wants to “die for azadi”. 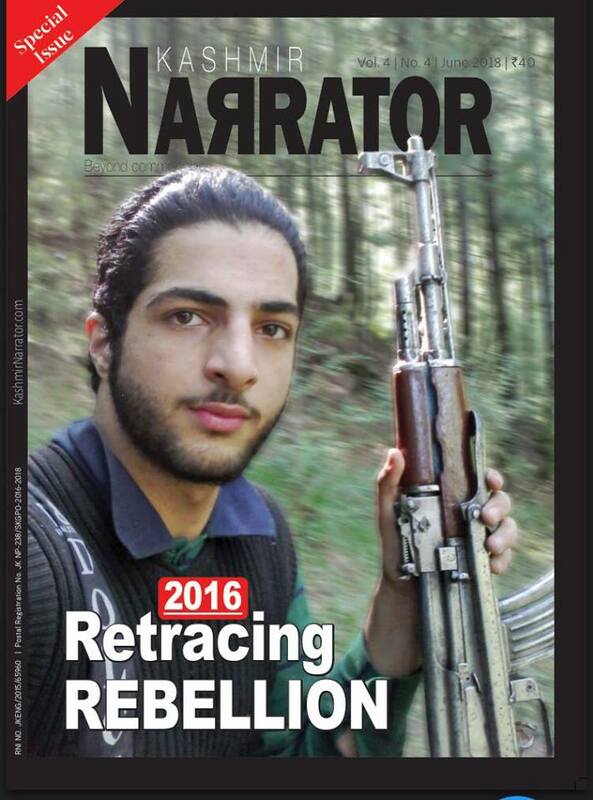 Born and brought up in Kashmir, he says he has all the reasons to side with the oppressed Kashmiris. His stammer forces him to keep his introduction brief. “My name is Raju.” Locals call him Kancha, meaning the youngest son in Nepali. In the thick of a stone-pelting battle, when Raju is oblivious of the surroundings, the locals call aloud: Bhaag Kancha, bhaag (Run Kancha, run). “I love stone-pelting, that is why I engage myself in it. I don’t follow any religion. I want azadi. When Kashmiris can die for it, why not I,” says Raju in plain Kashmiri, who has never been to Nepal. Raju has his hair dyed golden brown. He is illiterate. “I love taking risks,” he says, as if he is playing Mahesh Manjrekar’s Bali of Kaante in Kashmir. Sitting beside a heap of scrap metal in Batamaloo General Bus Stand, Raju repeats one sentence, “I am not afraid of anyone.” In the 2016 uprising, he has been at the forefront of protest marches in Srinagar, particularly in Batamaloo where he resides. Raju’s love affair with stone-throwing hasn’t been without costs. He was expelled by his father, Ram Bahadur, from home, for participating in stone-pelting. But this has only hardened Raju’s attitude. “I will not give it up,” he vows. Bahadur, a Nepali Hindu Gorkha, has been residing in the Valley since the time when “meat was sold at Rs 10 a kg.” He doesn’t know the exact date. All his children, five sons and three daughters, were born and brought up in Kashmir. And all his male children stammer. Bahadur finds it hard to understand Raju’s obsession. “Raju has a kink in his brain. He unnecessarily puts himself in danger. He neither belongs to this land nor has to live here. Why is he inviting trouble for himself?” asks Bahadur, who works as a night watchman at the Batamaloo Bus Stand. In September 2016, during a routine stone-pelting incident, Raju was trapped in a building in Batamaloo along with some local boys. They had taken a vantage position in the building from where they were hurling stones at the forces. This group was forcing the police and paramilitary men to retreat from the locality. Other stone-pelters on the main road were chasing out the forces from the area. The general equation of stone-pelting incidents is usually like this: First, the forces retreat in the evening after a day-long siege. The youth immediately assemble to give them a ‘warm send-off’. Then the forces resort to tear gas, pellet shelling and the youth retaliate with stones. Raju was detained and kept, first, in Batamaloo police station under sections 147, 148, 149, 152, 427 and 336 of Ranbir Penal Code, and was later transferred to the juvenile detention centre in Harwan, on the outskirts of Srinagar city, on a ten-day remand. “It was a painful experience. First, when we were caught in the building, we were ruthlessly beaten up by the police. And when they came to know that I am a non-Kashmiri, they became even more furious,” says Raju. Fearing severe beatings in the lock-up, Raju feigned ignorance of any involvement in the stone-pelting and made up a story why he was in the building. “I tried to fool them by telling them that I am a non-Kashmiri and had nothing to do with the stone-pelting.” But the police proved smarter than Raju thought. But a bit of luck was still on Raju’s side. Nisar Mir, Raju’s employer, came to his rescue. At a time when even his father stopped pleading his case, Mir bailed him out. “He is, after all, a human being. When he was detained he was not working with us, but still, I realised that I must lend him a helping hand,” says Mir, who besides providing him with a job has also given him shelter after Raju’s father shut his doors for him. Raju has been at the vanguard of protests in Batamaloo this year and has seen killings happening in front of him. These gory incidents have left him a changed person. Neither injuries nor detentions deter him anymore. On 15 August, the forces killed a youth Yasir Sheikh at Batamaloo during a protest. Raju was there and saw it in close-up. “Yasir died in front of me. He and I were at the front hurling stones at the police,” says Raju, adding that the policeman actually aimed at him and then turned his gun towards Yasir and shot him dead. In protest, Raju says, he continued hurling stones at the police post in main Batamaloo throughout the night of 15 August. Raju, however, has a good sense of humour when it comes to sloganeering. He has coined some hilarious slogans to taunt the men in uniform. To taunt a dwarf policeman, he would shout aloud: “Qad kitna, kitna?” (So how tall are you?) The youth around wound bend, keep their hands some two feet from the ground and then reply: “Itna, Itna” (Just this much). “He has more emotions attached to the protests than we have,” a local Kashmiri who works with Raju says as he pats his shoulder.